While the West African Ebola Outbreak largely came to an end back in January, isolated cases are still appearing, including two cases which emerged this week in Guinea. Earlier this week, the World Health Organization announced that a flareup of the disease in Sierra Leone has been contained: after 42 days, no new cases from that particular cluster had been identified. 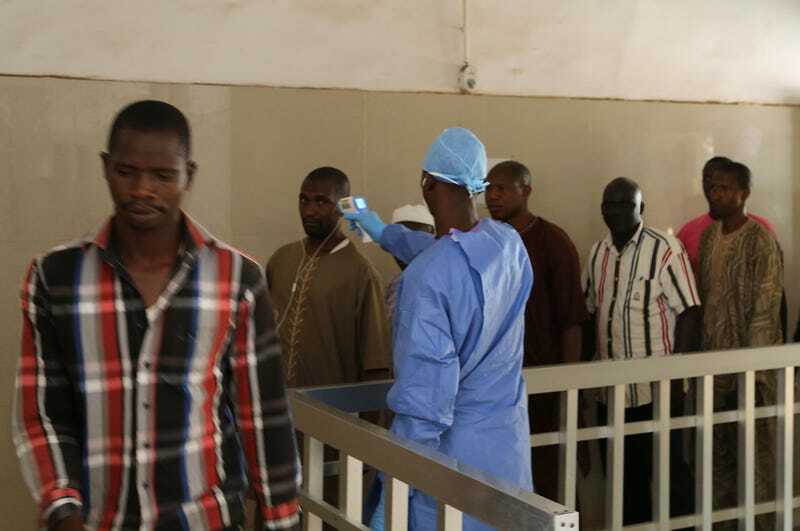 However, across the border in Guinea, two individuals were found to be carrying the virus. Four people in the southern region of Nzerekore were tested on Thursday and two of them were found to have Ebola. They were all from Korokpara, a village where three people from the same family have died in recent weeks from diarrhoea and vomiting. The new flareup highlights a harsh reality for the region: Ebola, long confined to central Africa, is likely entrenched in a local reservoir, where it will continually come into contact with human populations, which will result in continual, isolated cases that will need to be addressed and contained as they appear. Fortunately, medical personnel have been dispatched to the new hot spot, where they will begin investigating and tracking down each person the victims might have come into contact with: time is of the essence in order to make sure that the virus doesn’t spread. In the meantime, the clock has been reset for the region before it can be officially cleared of cases once again.